The Huxley Collection 02347 16" Corner Cabinet is a great accent item for your room as it is an elegant combination of old world charm and contemporary design. With corner design and black plinth base it is fabulous accent item for your home. 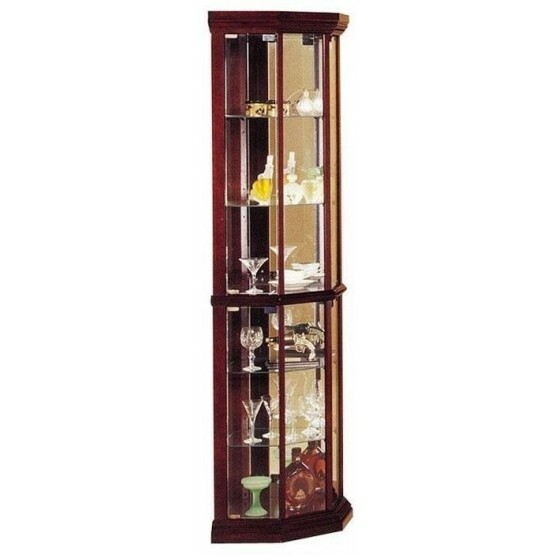 This curio has glass shelving, featuring a touch opening magnetic hardware and 4 glass panel doors. W16" x D16" x H71"